Gel type alcohol hand sanitizer for easy hand sanitizing at home or on the go. 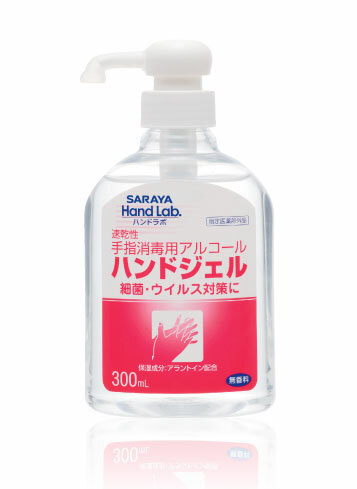 Hand Lab Gel quickly dries and contains moisturizing allantoin to soften the skin. Comes in various sizes for personal or household use. • Contains allantoin for moisturizing and skin healing. • Easy to use gel type quickly dries without leaving a sticky feeling. • Contains 80% ethanol to reduce over 99.99% of germs on the skin. How to use : Apply a small amount on to the hands and rub until dry.